What were Christians created for? Trick question. God didn’t create Christians; he created humanity. We humans, who happen to also be Christians, are very good at focusing our attention on and engaging in God’s mission with the Great Commission of Matthew 28. To make disciples of all nations, baptizing them in the name of God. We don’t do so well, however, with focusing on the Original Commission. What we were meant to do as humans, not just Christians? Have you ever thought about this? It’s all there in Genesis 1-2. When God created humans, he created them to be in community as image-of-God bearing priests, rulers, and sub-creators. Or put another way, priestly rulers who contribute to the perfection of creation through showing the world who God is. Because, though we often don’t think this way, there is only one perfect world in the Bible and it is not the one in Genesis. It is the one in Revelation. The garden-city-temple of Revelation is what the garden of Eden in Genesis was meant to become in the power of God working through his image-bearers. And it’s not the power of God working in us only to gain converts. And it’s not the power of God working in us only to feed the poor. It’s the power of God working in us in everything that we do as humans meant to work, create, and ultimately rule on earth. So why do we bother with everything that we don’t typically think of as being the Christian activities? Why do we engage in the arts? Why do we share in an awesome view of the ocean? Why do we build, organize, imagine, toil? Because this is the Lord’s work. Not just preaching and doing marriage ceremonies. And we engage in this work and creativity of God not because we are earning our salvation in Jesus; of course not. And not because we are merely showing how grateful we are for our salvation in Jesus, although that may certainly be part of it. We do this, because this is what we were created for. Therefore, we are less human without it. We become properly and completely human when we are mediating the presence of God and instituting his reign in the world. So it’s a matter of what is central. So many theological issues in the church could be resolved today if we understood that salvation is not central. If our personal salvation is made central, we struggle to know what to do with the rest of the world. But if our role in the world is made central, then salvation has its proper place as the means by which we get there. Salvation is a restoration to the humans we were meant to be, not an end in itself. Humankind wasn’t created for salvation, but for God’s kingdom. You were not created to be saved. You were created to reign. In order to biblical Christians, and humans, what if we kept Genesis 1-2 alongside Matthew 28 in our thinking and in our practice? 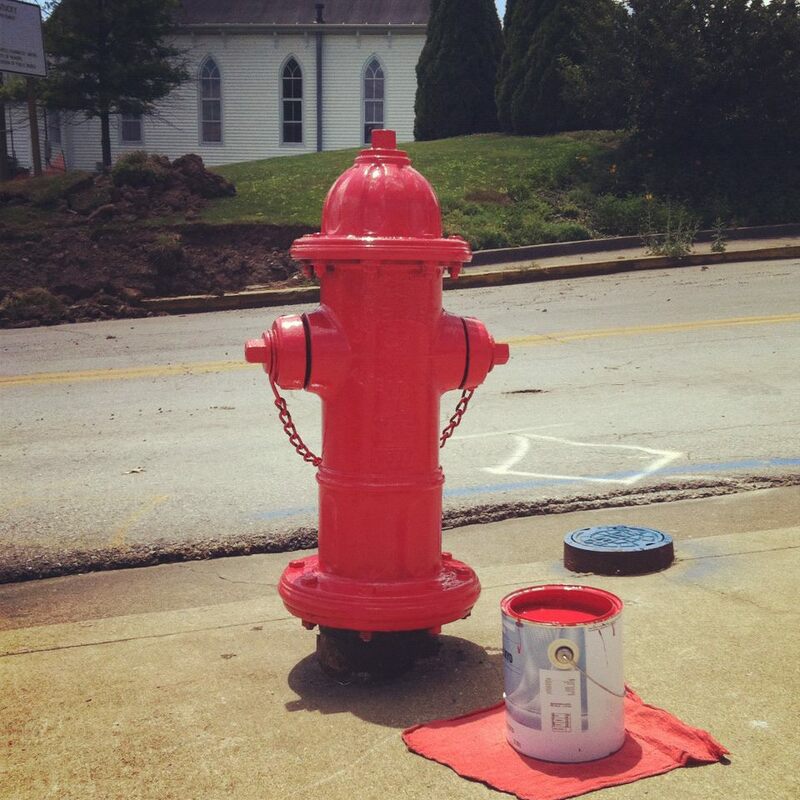 Thanks to Asbury Seminary student Liz McClellan for the picture of her freshly painted fire hydrant on the streets of Wilmore, KY. I’ll leave you to figure out why I included it here.